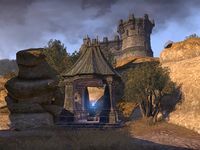 Built by the Second Empire to house a garrison of Border Scouts, Sphinxmoth was placed between feuding tribes of Bosmer and Khajiiti in an attempt to stop their cross-border raiding. When the Empire fell, the fort's garrison was replaced by the very raiders it was built to control. Fort Sphinxmoth is a ruin in northeastern Reaper's March, north of Dune. It is occupied by Imperial bandits. 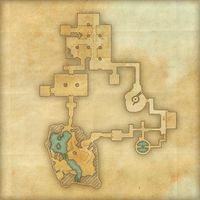 Fort Sphinxmoth Objective: Help the priestess of Mara recover her lost relics. Fort Sphinxmoth Wayshrine is located to the southwest of the fort, on the other side of a large rock formation.